NICE has published draft guidance not recommending Sanofi/Regeneron’s Praluent (alirocumab) as an option for people with high cholesterol (primary hypercholesterolaemia - heterozygous-familial and non-familial) and mixed dyslipidaemia. The draft guidance does not recommend Praluent, alone or in combination with lipid-lowering therapies, for treating primary hypercholesterolaemia or mixed dyslipidaemia in adults for whom lipid-modifying therapies have not lowered cholesterol levels enough. The UK drugs regulator said it was concerned the drug had not been tested against the existing combination therapy of ezetimibe plus a statin, and that the trial data lacked proof that Praluent had a positive impact on cardiovascular outcomes. People with hypercholesterolaemia have an increased risk of cardiovascular disease (CVD) because long term raised cholesterol levels accelerate the build-up of fatty deposits in the arteries (atherosclerosis). The narrowing of the arteries can eventually lead to angina, heart attacks and strokes. People with hypercholesterolaemia and mixed dyslipidaemia have high concentrations of cholesterol in their blood. In primary non-familial hypercholesterolaemia, a number of genes interact with dietary and other factors such as smoking and lack of exercise to cause high cholesterol levels. Some 1.5 million people in England are affected by the condition. The familial version of the condition- which affects about 106,000 people in England- is inherited, and is caused by a faulty gene which causes raised cholesterol levels from birth. Praluent works by targeting a specific protein, called PCSK9, which reduces the number of receptors on the liver that remove LDL cholesterol (also known as ‘bad’ cholesterol) from the blood. By blocking PCSK9’s ability to work, more receptors are available to remove LDL cholesterol from the blood. 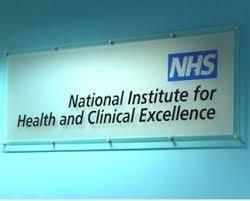 Professor Carole Longson MBE, director of the NICE Centre for Health Technology Evaluation, said: “The committee concluded that alirocumab is clinically effective in reducing LDL-c levels when compared with placebo, ezetimibe or statins in people with hypercholesterolaemia. However, it was concerned that alirocumab had not been compared with the combination therapy of ezetimibe plus a statin, in the large population of people with non-familial hypercholesterolaemia. “The committee also noted that the trials were not able to provide robust information on important cardiovascular outcomes. They concluded that, although it was reasonable to infer that alirocumab would reduce cardiovascular events, the extent of this reduction was uncertain. “The committee further recognised that most of the value-for-money analyses resulted in ICERs that exceeded the range normally considered to be a cost-effective use of NHS resources. Consultees, including the company, healthcare professionals and members of the public, may appeal the draft guidance until 29 February 2016.